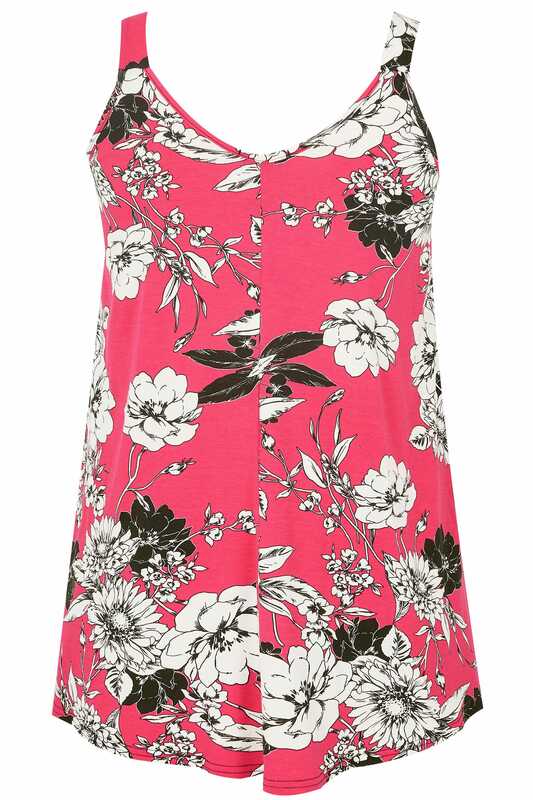 Add flourishing florals to your wardrobe with this vest top. 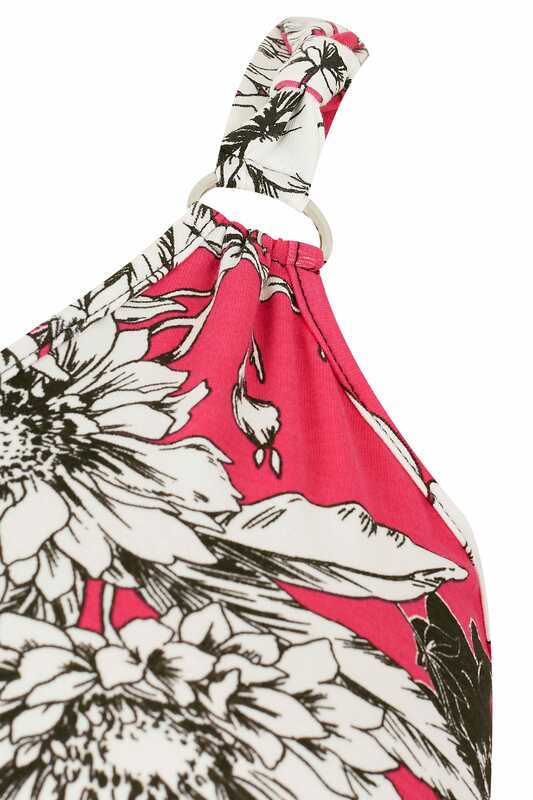 Made from a super-soft and stretchy jersey fabric, it features a v-neckline and silver tone D-ring fastenings. Team with denim and flats for everyday appeal. 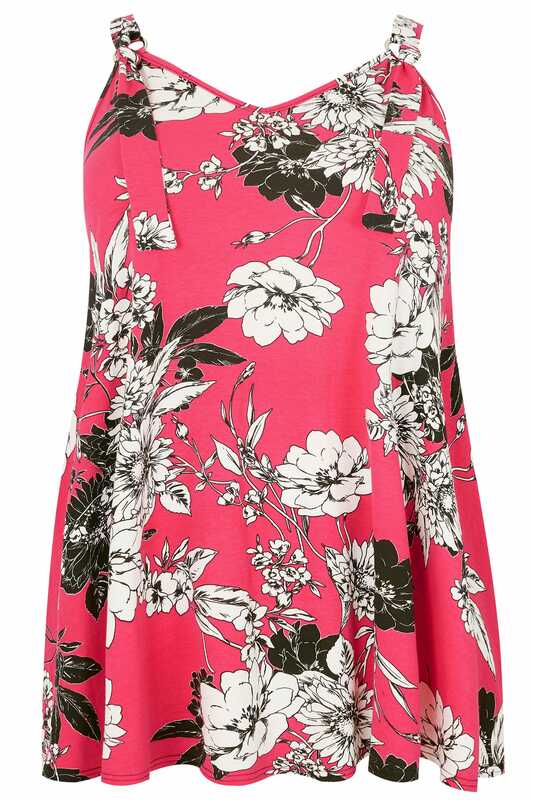 Comfortable and easy-to-wear, we love the pink hue and monochrome floral print.